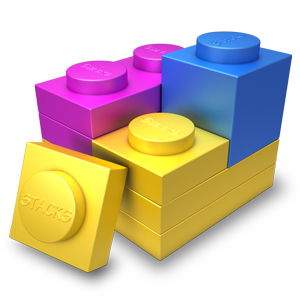 This update to Stacks adds a few speed improvements and a couple of minor bug fixes. For users with a large number of installed stacks (> 100) the the library window open much more quickly. Some small refinements to the UI when Stacks is running in █████████████. A bug that caused Stacks to scroll down the page to the first form element was fixed. Some improvements to the library window on retina displays. This release will be available via auto-update the next time your use Stacks, or you can download it here.